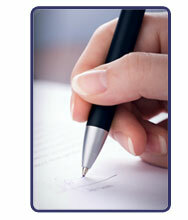 New customers are faxed or e-mailed a credit application to be filled out and returned to us. We check your credit information and confirm your lease status within hours. With your approved credit application, we can reserve for you a road or storage trailer. Trailers come in multiple lengths: 45ft, 48ft, or 53ft. Your trailer rental price can be quoted after we have determined the type and length you require. We require a minimum lease of one day for road trailers and 30 days for storage trailers. Call Now to reserve your trailer!